Early civilizations survived because they learned how to use water creatively without using it up. Not surprisingly, water is a fundamental religious symbol that permeates many cultures. Water appears often in our scriptures: the Tigris and Euphrates of Eden, Noah’s flood, Hagar’s hopelessness in the desert, Moses striking the rock at Massah and Meribah, the Israelites crossing the Red Sea to freedom and forty years later crossing the Jordan into the Promised Land. And certainly plenty of instances during Jesus’s ministry. John Sanford, an Episcopal priest and author of The Kingdom Within (Harper SanFrancisco, 1987), tells a story that captures some of the themes in our readings today regarding the “water of God.” He writes about an old well that was located outside the front door of his family’s 150-year-old farmhouse in New Hampshire. The house had never been modernized, and did not have electricity or plumbing. 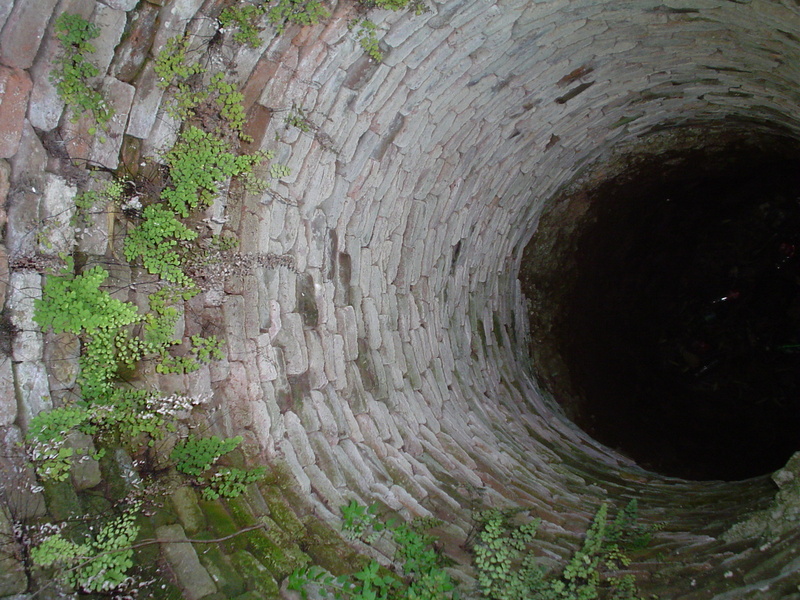 The well was the family’s only source of water, and as Sanford describes it, “had unusually cold and pure water and was a joy to drink.” It never ran dry, even during the most severe droughts. As time went on, running water was installed in the house. The old well was sealed over, and stayed boarded over for years. One day, Sanford decided to uncover the well. Expecting to see the dark, cool water of his youth, he was shocked to discover a bone dry well. What happened? He writes, “A well of this kind is fed by hundreds of tiny, underground rivulets, along which seep a constant supply of water. As water was drawn from the well, more water moved in along rivulets keeping the tiny apertures clear and open. 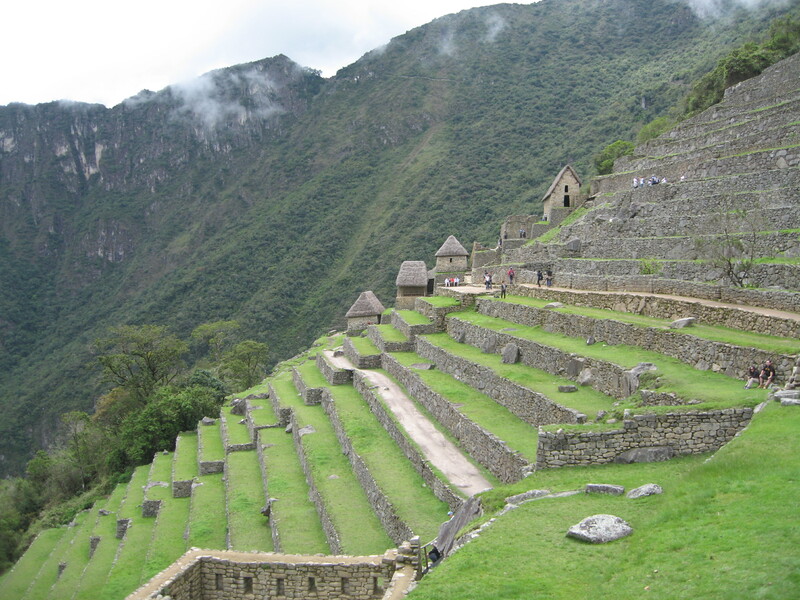 But when the well was not used and water no longer was regularly drawn over so many years, it went dry – not because there was no water, but because it had not been used.” This is the same sort of thing that happened at Machu Picchu and why those canals no longer carry streams of water. Today’s gospel speaks of “living water” and another “family” well. Jesus and his disciples have again been on the dusty road traveling north from Judea to Galilee going through Samaria. They stop near Sychar around noon, when the sun is highest in the sky, at a place known as Jacob’s well – a location anyone who has read Genesis will know is an important location. The disciples head off in search of food and Jesus is resting by the well – the central focus of the community – like the Town Green. As he is resting, a Samaritan woman comes to draw water in probably following her daily routine. Now contact between Jews and Samaritans was prohibited; considered a practice that would leave a Jew ritually unclean. Never mind that a man could not address a woman in public. But hey, this is Jesus, and since when does he follow social restrictions? Jesus asks her for a drink, and a conversation ensues about thirst and water. Jesus tells her that all who drink from this well will be thirsty again, but the water that he speaks of “will become in them a spring of water gushing up to eternal life” (v. 14b). The Samaritan woman assumes he means running water, as from a stream, and wonders about its source. Gradually this woman begins to understand that what Jesus offers is not something to assuage physical thirst, but the grace of God that satisfies the thirst to be made whole. He knows her more than she knows herself. 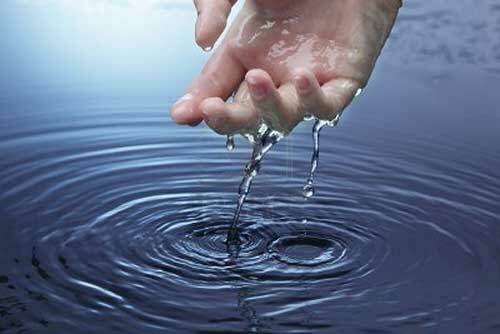 Water is to natural life as “living water” is to eternal life. As Christians, water is the key ingredient and that outward and visible sign of that spiritual and inward reality in our sacrament of baptism. Water is a stream that runs through our liturgies in the Book of Common Prayer. In baptisms, we thank God for the gift of water and recall a few of these stories in the prayer over the water: the Creation, the Exodus from Egypt, the baptism of Christ. Whenever possible, the earliest Christians sought to have their baptisms in “living water,” that is, in moving rather than stagnant water. Flowing water represented the transforming but hidden power of the Holy Spirit at work in the sacrament. Our spiritual forebears were baptized in rushing streams, coursing rivers, windswept lakes, and, perhaps, even in the lapping tides of a sheltered bay. In some ways the sea may be the best symbolic medium of all, for in the depths dwell myriad riches to sustain and astound us, some quite obvious and familiar, some hidden and mysterious. Living water connects us to the sacrament of new birth, which is baptism. Today our baptisms are a bit reserved in the splashing and pouring of water; an infant has a small amount of water trickled over their head and is quickly wiped dry. But the water is a symbol for something much deeper. And in the Episcopal Church, we have promises represented in this bathing ritual of new life. Turn to page 304 in the red Book of Common Prayer in your pew. This is The Baptismal Covenant, something we regularly say and reaffirm. It is what those who are preparing for confirmation are saying taking on as an adult reaffirmation of the promises made on behalf of them by parents and godparents at their baptism. But do we pay attention to these words? Our God, its one thing to say the creed but another to put my trust in you. Help me to live with the assurance that you are my Father and that nothing can separate me from your love. Our God, help me trust in your forgiveness expressed in Jesus. Our God, help me to look to your spirit to make me your person. Our God, I know I was not meant to go it alone because you created the church to be supportive family for your children. And I know the church is made up of people like me – so it isn’t perfect! Help me to play my part in the church, so I can learn from the teaching, be encouraged by the fellowship, be renewed in the Eucharist, and find strength for living each day through prayer. Our God, you understand that sometimes I do things I never intended to do. My sorrow doesn’t put it all right. Neither can I use my weakness as an excuse. Help me to begin anew, to experience your forgiveness and to walk again in Jesus’ way. Our God, help me to live the way Jesus called me to live. May my actions speak louder than my words of your love and of new life in Jesus. At the same time, help me rise above my own stumbling speech and give the words to express what I believe. Let me be a witness to the Truth. Our God, all too often I have looked at people in a very superficial way. Help me begin to see them with your eyes, knowing that every person is created in your image, as your child. If Jesus died for that person, how can I despise him? Give me a new love that reaches out to everyone because Jesus died for all. Our God, I don’t want my attitudes to be shaped by the injustices that mar society, by the discrimination, greed and lust that spoil relationships. In Jesus, color does not count, wealth carries no weight, and gender is not important. Help me to live in Jesus, to see people through his eyes, and work for the harmony that reflects your kingdom. Our Baptismal Covenant helps us to keep that living water fresh. How does Jesus challenge us to break out of comfortable traditions and into the living waters of his life? Jesus’s message to the Samaritan woman transcends physical, moral, and spiritual prejudices. That is what our Baptismal Covenant does and what we promise to strive for at each and every baptism we participate in – being living examples of transcending the physical, moral, and spiritual prejudices that separate us from God and our neighbor. What is your greatest thirst? How might you quench it? What gets in the way of your drinking of the living water and sharing it with others? Great sermon, Sharon. Thank you for sharing. I have been engaged in numerous conversations about the Creed as a part of regular worship. In its most common form, it has none of the characteristics of prayer and seems to interrupt the movement of dialogue with God in the Eucharist. Hollis’ meditation that you have presented, Sharon, certainly responds to my objections in a way that invites me to use the Creed as a prayer to increase my faith.